Artisan Remodeling Inc. is a leader in providing value-added construction services to our customers by creating a successful partnership with them throughout the remodeling process. Our pledge is to establish lasting relationships with our customers by exceeding their expectations and gaining their trust through exceptional performance. Browse through my portfolio and see works in glazing, antiquing, faux bricks and stone, faux marble, faux wood grain, metallic paints and foils, raised stencils, Venetian plaster, trompe-l'œil, simple ornamentation and fine art murals. I’ve been fortunate to faux paint for great clients with beautiful homes all across the Oklahoma City Metro. From simple changes to total makeovers, I am a decorative painter, painting from North Edmond down to Moore. I would love to visit with you and explore the possibilities that could make your home uniquely your own. If you would like to contact me you may use the contact form or call me at 405-808-7547, I’ll look forward to hearing from you. Welcome to American Rustic Wall Wood llc. 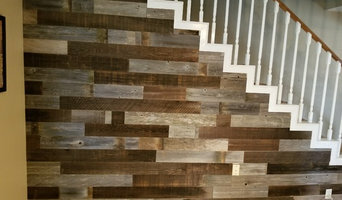 We Manufacture and sell an Amazing product called Peel and Stick Wood Wall Paneling. An Authentic Naturally Weathered Solid Wood Wall Paneling (not particle board)(not painted,treated or stained.... and Eco Friendly Safe for Your Kid friendly Environment)) that you can install yourself for Home or Office Wall Decor or Art. Our Peel and Stick Application allows the Do it Yourselfer to install this in a Fun Easy manor without the use of nail guns,air tools or Toxic Glues. This New and Amazing Technique will soon be the Wave of the Home Wall Decor Future so come join us have Fun and Jump On! I work with clients to make their homes & businesses unique. 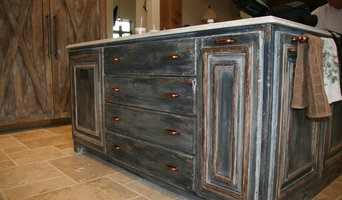 I specialize in decorative wall, furniture & cabinet finishes. Located in Oklahoma City, OK, Seven Painting and Construction is a locally owned and operated construction company that offers a wide range of services. Do you need an overall makeover of your home? Are exterior painting and interior painting services part of your home remodeling project? Do you need paint removal services for a quick repaint? At Seven Painting and Construction in Oklahoma City, OK, we are professional paint contractors with expertise in all aspects of painting. 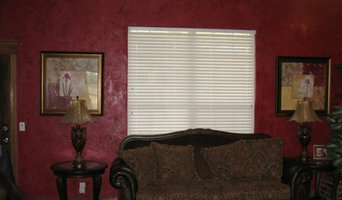 Call today to discuss your painting project. We are a small retail wallpaper shop located in the Nichols Hills Plaza. KASA specializes in designer wallpapers. 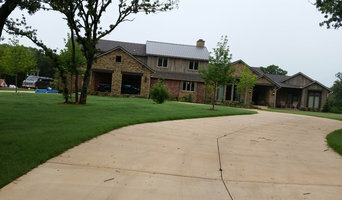 I have been providing customers with quality workmanship at competitive prices for over 20 years in the OKC area including Moore, Norman, Newcastle, and the surrounding area. We specialize in residential woodwork and wall treatments, using high quality and innovative materials. I take pride in the fact that we take every step to ensure the best possible paint job on your home top to bottom. I enjoy working with homeowners and builders to achieve a job that runs smoothly and meets the expectations of both builder and owner. If requested, I am willing to give advice and opinions based on experience to homeowners or builders regarding finishes and colors. I take personal ownership of ever job and work from start to finish ensuring customer satisfaction. Artistic Wall Finishes manufactures and installs a two coat interior wall finish in a range of semi-smooth and textured compositions that provide warm lustrous wall surfaces. When infused with selected pigments and skillfully hand troweled on walls, these natural mineral finishes take on a life of their own. Our fresh and innovative look for interior walls...is designed to afford you, at a fraction of the cost, European and Tuscany finishes without sacrificing beauty and resilience. The result s are durable wall and ceiling surfaces saturated with integral color, or patina and texture. And yes, contemporary walls can be complimented by our array of textures. Kustom Koatings specializes in all interior & exterior projects. Including Kustom finishes, weather proofing. If painting your walls or installing wallpaper aren’t your favourite jobs, it’s very well worth considering hiring a professional for it. Not just for the obvious time-saving, but there’s actually more to a good paint or wallpaper job that you might think! Whether you’re looking to paint your bedroom or living room, you’re always starting from the all-encompassing question of which colour to paint your walls or which wallpaper to choose. The next challenge is selecting the best product for your needs. And don’t even mention the work involved in preparing the wall and applying the paint so it lasts. If you’re looking for a professional house painter or wallpaper installer in Newcastle, OK you’ve come to the right place. You’re sure to find the best painter for your job in the Houzz professional directory. Here on Houzz, you’ll also find Newcastle, OK professionals who can create a more creative wall design for your home, including wall murals or custom wallpaper. Murals drawn by an artist will often require a large space, but it’s worth investigating if you’d like a one-off feature wall every visitor will remember. If you’re after advice rather than application, here you’ll also find colour specialists that can help you in your quest for choosing the right paint colours or wallpapers for your abode. 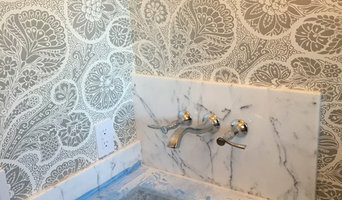 Scroll through this page to find painters and wallpaper installers in Newcastle, OK. You can browse their latest projects, read reviews to see how other homeowners rate their work, and message them directly.